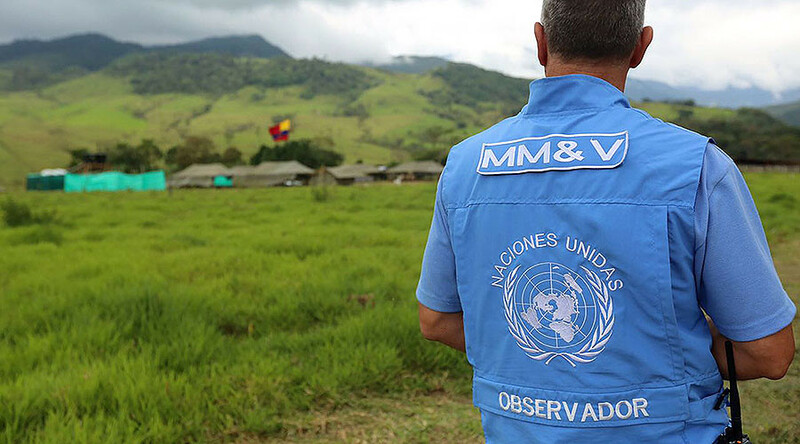 More UN observers are currently under investigation over allegedly dancing with Colombian FARC rebels during a New Year’s Eve party, a UN source said. The UN mission has already fired several observers seen in the video. “It is under investigation. And the UN mission in Colombia will take whatever steps may be necessary. We are totally committed to being impartial,” the source told AFP. It is not yet clear how many people are currently involved in the investigation. The scandal erupted on January 1, when Colombian media released a video in which several UN observers dressed in their pale-blue uniform vests were seen dancing with FARC rebels at a party. On Thursday, the UN sacked three observers who “took part in celebrations at a FARC-EP Temporary Pre-Grouping Point on December 31 2016,” according to the UN statement. Their supervisor was also fired. “The UN Mission reiterates its determination to verify in full impartiality the parties' commitments towards the cease-fire, the cessation of hostilities and the laying down of arms,” the mission added. FARC, a Marxist rebel group, was formed in 1964 and reached prominence in the 1980s and 90s. At its peak, it was Latin America’s largest and best-equipped militant organization, with an estimated 20,000 fighters. The five-decade struggle with the government has claimed more than 220,000 lives. In November, Colombian President Juan Manuel Santos and FARC rebel leader Rodrigo Londono signed a historic peace deal. According to the agreement, at least 7,000 FARS fighters will have to form a political party within six months. The aim of the UN mission, which was established in January 2016, is to “monitor and verify the laying down of arms... bilateral ceasefire and cessation of hostilities, following the signing of a peace agreement,” a statement from the mission says. Around 450 unarmed UN observers are currently operating in 40 locations across the country.